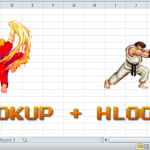 The following is a fairly quick tip within Excel Visual Design. 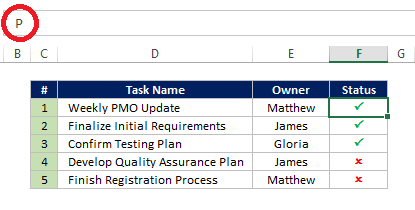 One of the things I like to put in tables is a checkmark symbol to indicate that something is complete. In certain situations, it’s more appealing than writing the word “Done” or “Complete.” There are multiple ways to do this and I’ll cover them in the order of how frequently I use them. 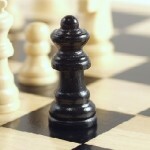 The first approach is the one I use most frequently and what I consider the quickest way to get the checkmark symbol. Then, all you need to do is put in a capital “P” by hitting SHIFT + P.
As a bonus, if you put in a capital “O” with Windings 2 font, you also get a more stylish “X” symbol which you can use to indicate tasks that are not yet complete or failed. 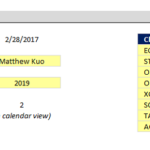 While this probably isn’t the most intuitive approach, it’s generally one of the fastest ways to get a checkmark in your Excel file. 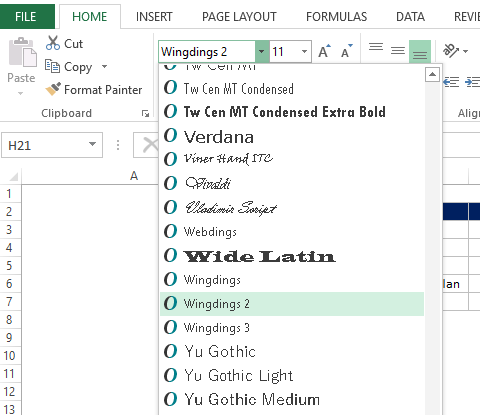 Wingdings 2 is a standard font within the Microsoft Office Suite, so this works for Word and PowerPoint as well. Please note that the green and red coloring was added as an additional step. 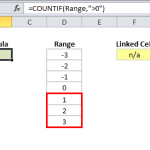 This can be done pretty easily with either conditional formatting or custom number formatting. 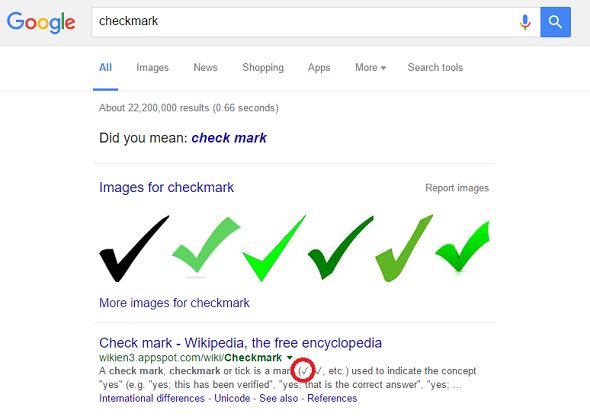 Googling for “checkmark” (or “check mark” as Google recommends) is another easy way to get the checkmark symbol. Your actual search results may vary, but below is an example of the results that I get. 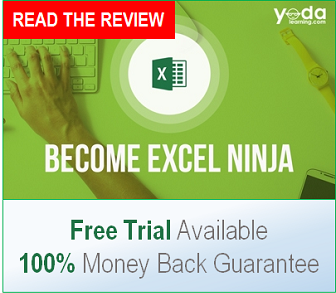 From here, all you have to do is manually copy any occurrence of said checkmark symbol and paste it in Excel. 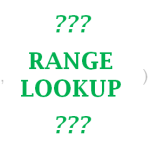 Just use the simple shortcuts CRTL + C and then CTRL + V.
The final option is to use Excel’s insert symbol feature. Within the INSERT tab of the Ribbon, click on the “Symbol” button to the far right. 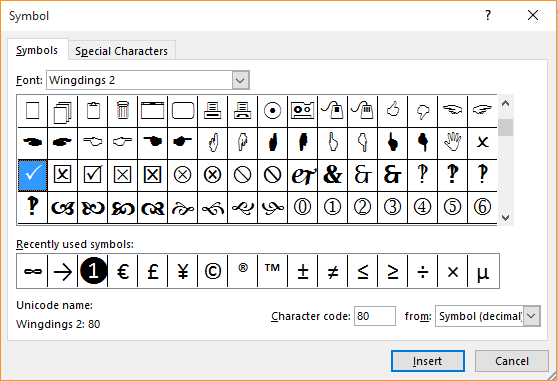 From here, you can basically navigate to the checkmark symbol we used before by selecting the Wingdings 2 font and finding the checkmark symbol. While this is the most intuitive way to insert a checkmark symbol, it does take a little bit more time to leverage, especially if it’s not one of the most recent symbols you have used. However, it does let you consider more checkmark options visually. For example, using a checkmark symbol with a box around it. Indeed a very nice tutorial. Thanks a lot!